German auto maker BMW through its specialized small car manufacturer, Mini Brand ,is going to launch a Small car in Indian market. This mini car has been in news since it was announced during 2011 Frankfurt motor show and was claimed to bring in India by early 2012,but as of now ,details marks that the iconic brand Mini Cooper will be launched during the 2012 Auto Expo . It is expected that The car would be full of complete luxury on both interiors and exteriors and will be considered as a premium car. BMW Mini price in India is Rs 23 Lakh. Specially crafted to cater the needs of Indian populace, the all new mini cooper's booking is likely to begin in 2012. Although many players like Volkswagen and Fiat has steeped in small car segment, but Despite the reasonable price offered they could not get that much response , may be because of lack of proper exposure, so BMW is all set to take a risk to step in small cars in accordance with starting sales figures. For this the auto group plans to capitalize its fund on developing distribution channel and dealerships for Mini Cooper across the country. 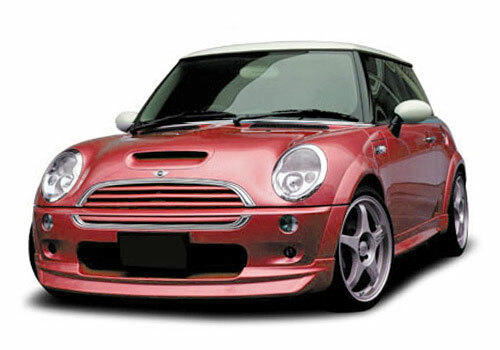 The all new BMW Mini Cooper is expected to be arrived in two variant .i.e. a two door coupe and as a convertible. The car is likely to come in with 2 engine options. The 1.4 liter petrol engine is hoped to churn out 95 bhp of power and the 1.6 liter diesel engine is likely to give 110 bhp power, better as compared to petrol engine,. The Mini is said to be offer smooth ride on bumpy roads.102 parcent custom duty is going to be levied upon this car,as Indian shores are CBU for this car. Well BMW Mini review suggest that BMW, A famous luxury brand which always top the luxury segment will further intends to strengthen its position by launch of Mini Brand in India.